Top Pakistan Army Commanders are agreed that Army Chief General Ashfaq Pervez Kiyani must get Extension in his Service and remain Army Chief until the end of War on Terror. It was decided in the Corp Commanders that continued for four days. General Kiyani is completing his Service on 28 November 2010. After The Resign of General Pervez Musharraf General Kiyani successfully done command of Pakistan army and worked for bringing back the Glory of the Army that was destroyed during General Pervez Musharraf Government. 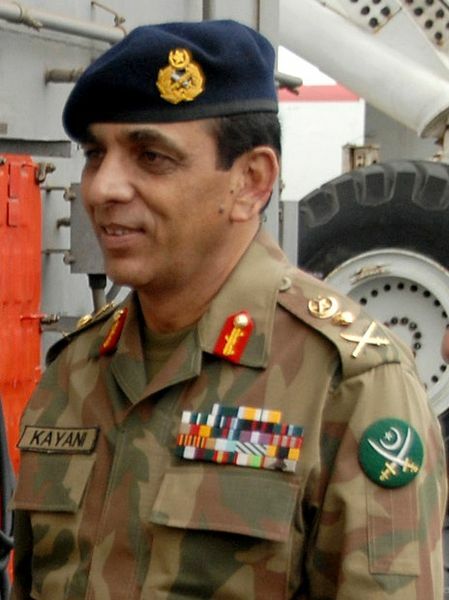 Due to Decisions of Pervez Musharraf like Lal Masjid operation Image of Pakistan army was badly destroyed but General Kiyani was successful to bring back good Image of the army. He also took good decisions about war on terror and successful operations in Swat and South Waziristan where also done under him. Watching this Top Army Commanders thinks that its General Kiyani who should remain Army Chief in this tough situation that Pakistan is facing. The Final decision about it will be made by the Prime Minister Geelani and President Zardari.